My Great Grandfather, a certain Webster, was brought down from Dundee to manage the Silverton Branch, before the fire. One of his sons, William A M Webster came to South Africa in the early 19’00s. The family have stayed here ever since. Thank you for this detailed account of Keiller company. I enjoyed reading the story. It was very informative. Apparently my great nan received money from the Keiller company in the early 1900, we believe she was a relative. 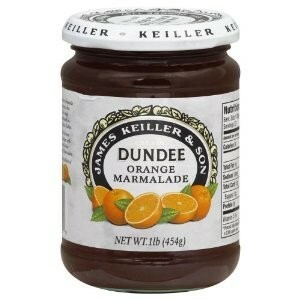 I have a pot of orange marmalade made in Dundee that is in a crock pot 12 ounces. Jam still in pot and lid covered with paper. Really? Do you know the rough date? Thanks for this informative article. This marmalade was a real family treat while I was a child. I have 3 different empty pots for export to Canada from those days. In 1980, I visited the UK and was saddened by the news that the company was closing. Alexander Keiller (1889-1955) was an archaeologist and bought the land on which the grand Avebury Stone Circle (Wiltshire) stands. Do look him up in Wiki. A philanthropic Scot to whom many, world wide, owe the debtof gratitude. 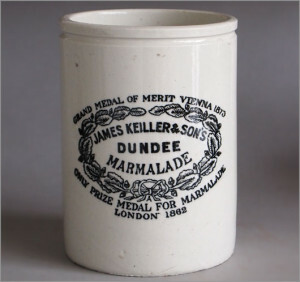 Such a shame keiller no longer exists, their butterscotch was the best!